Here's another way to incorporate special clothing and custom colors in a home decor item that can easily be personalized. Bluebird Gardens Custom Double Wedding Ring Throw Pillow features the traditional patchwork design in custom colors of your choice. 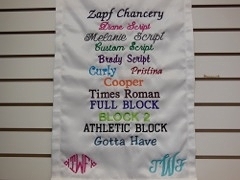 We can also add custom embroidery to personalize and mark a special day and occasion. Please allow 8 weeks from when the order is finalized. The pillow is shipped with a brand new polyfill pillow fill.